Find out more about Centerville Iowa's outdoor recreation, a solid & growing light industrial base, Chamber of Commerce, and Economic Development Corporation. 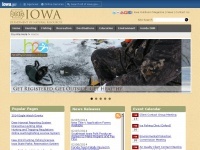 - Golden Shovel Agency, www.goldenshovelagency.com is specified as the websites creator. 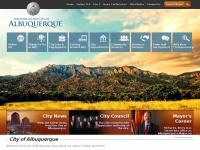 The web server used by Centerville-ia.org is located near the city of San Antonio, USA and is run by Rackspace Cloud Servers. 40 other websites are located on this web server. Most of them are provided in the english language. The markup language of the website is XHTML 1.0 Transitional. The visitor analysis software Google Analytics is used to analyze the visitors of the websites. 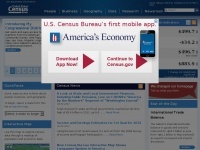 The website does not specify details about the inclusion of its content in search engines. For this reason the content will be included by search engines. 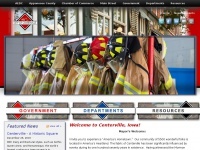 The homepage of the website is "/centerville". 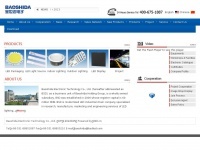 Bsdled.com - Baos­hi­da Electro­nic Techno­logy Co., Ltd.